We are excited to come meet with the farmers of beautiful Oregon. 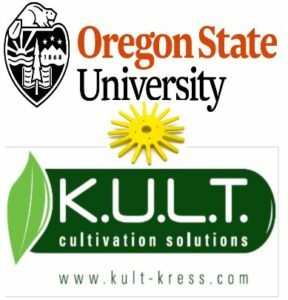 Oregon State University is hosting a cultivation field day with many cultivation companies in Corvallis on August 16th. Kim Haug and Sam Hitchcock Tilton will have the morning to speak with growers and will bring tools to demonstrate in lettuce and green beans in the afternoon. We will be bringing our new NextGeneration belly-mount tools , designed especially for the limited amount of belly space in older cultivation tractors. We will demonstrate the NextGeneration tools with the cut-away knives and fingerweeders that come with them. We will also demonstrate an Argus rear-mounted, steerable toolbar. The field day runs from 10am-5pm. You can find the registration page and more information at the OSU website. We hope the season is going well for you, and that you’ll be able to take a break and come enjoy a day with a bunch of other farmers to learn about cultivation with us.